It may be 2019 but that doesn’t mean that you can’t rock a vintage look. As they say, fashion is a cycle. The 80s and the 90s have had their respective comebacks so, why not take it further back again to the 60s? And what better way to start than from the top (pun intended)? 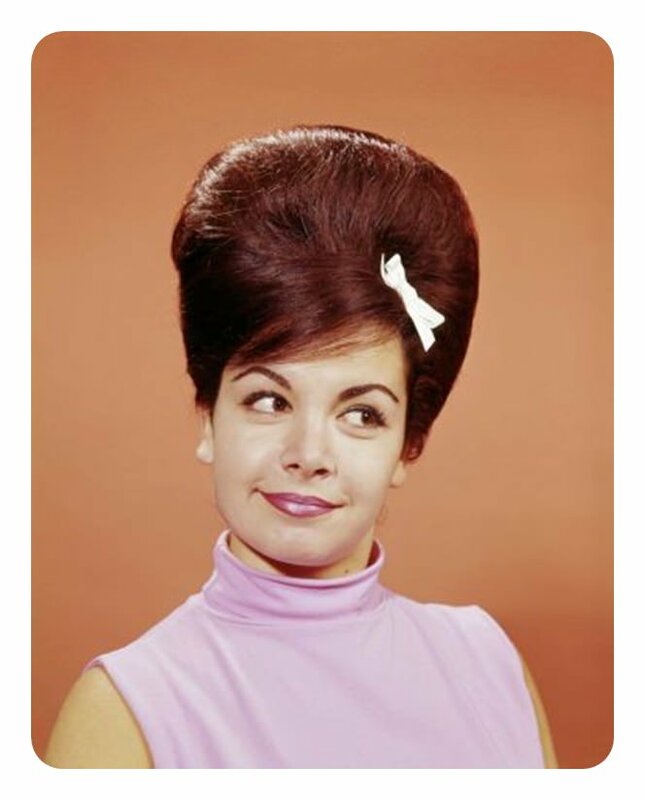 The beehive or the B-52 hairstyle is definitely one of the most memorable and enduring style staples of the decade. From singers to actresses to rich heiresses, almost every woman sported the dramatic hairstyle at least once in their life. It might have been a tumultuous time in politics but it was also a time of renaissance when it comes to fashion, music and the arts. Sure, most of us might only know the decade’s style vicariously. But that shouldn’t stop us from finally getting to relive and rediscover 60s fashion. So get ready to practice your backcombing skills and buy a pack of Bobby pins. 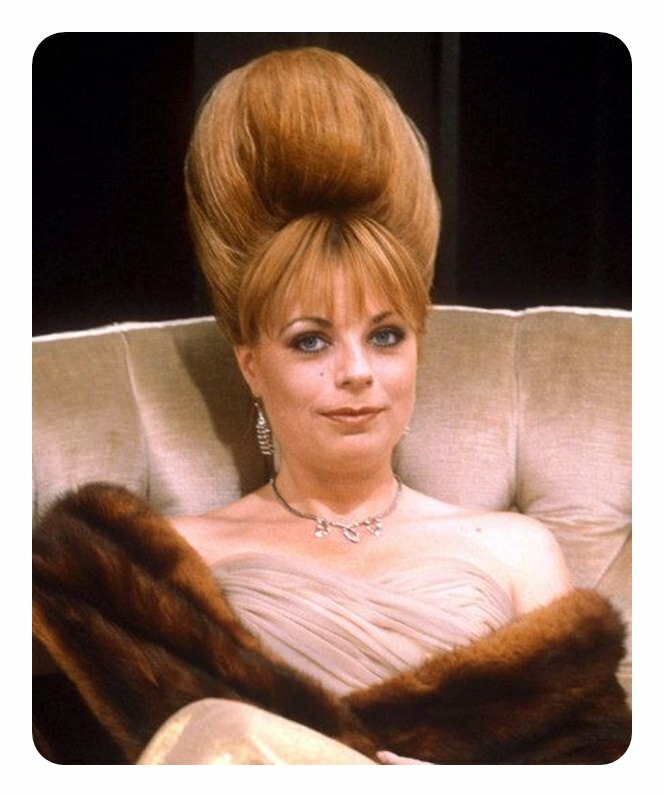 Here are 71 absolutely fabulous beehive hairstyles you can to any occasion this year. If you’re gonna do it, you better do it right. 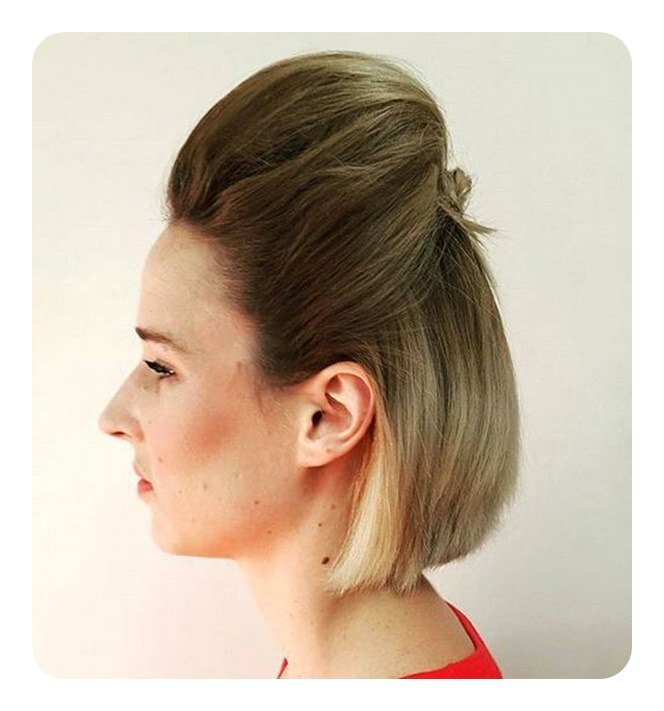 Why not start your beehive journey by learning how to create the classic style first? You can find a lot of tutorials online to guide you on backcombing your first beehive. This detailed step by step tutorial by Miss Miriam is a great place to start. 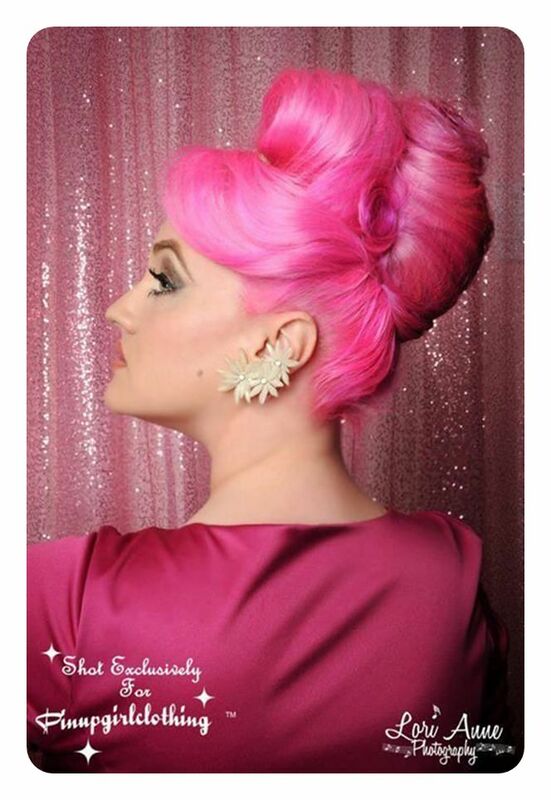 Big and bold prepare to stand out whenever you wear your hair in a beehive. The style was first conceived by Illinois hairstylist Margaret Vinci Heldt in 1960. However, she wasn’t the one who named her creation. 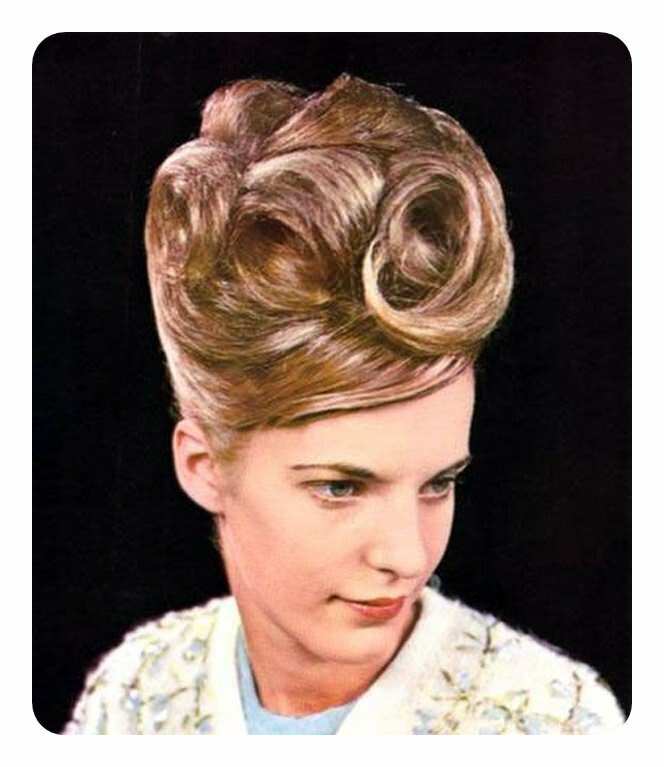 The name ‘beehive’ was suggested by a magazine writer who noticed the similarities between the hairstyle and the actual beehive. 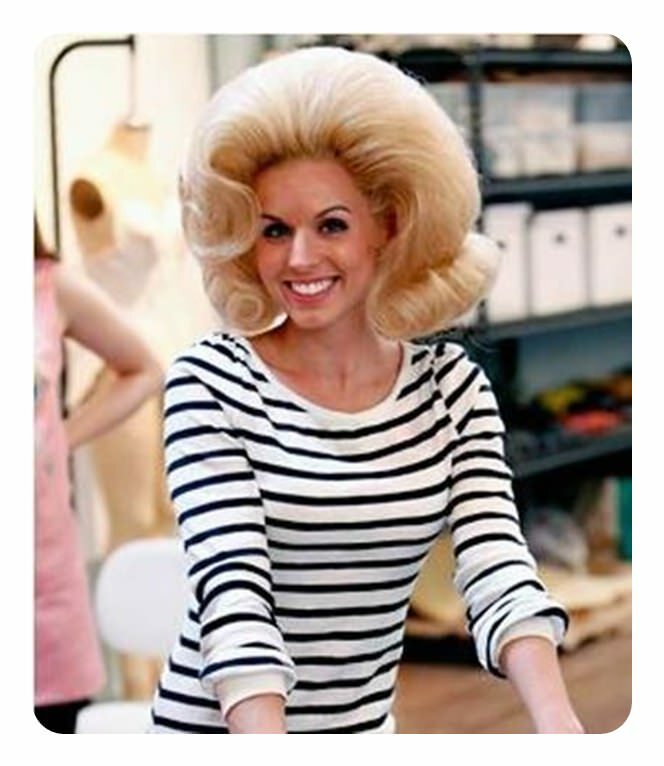 The beehive is often compared to another popular 50s and 60s hairstyle, the bouffant. So it’s important to clarify that the two are different from each other. Still, they share some notable similarities. For example, both are known for their big volume and rounded shape. Not to mention, the two styles are often used together to create a 60s look. People often associate outrageous and over the top fashion to the 80s but we gotta give credit to the 60s style icons for giving precedence to that craziness. 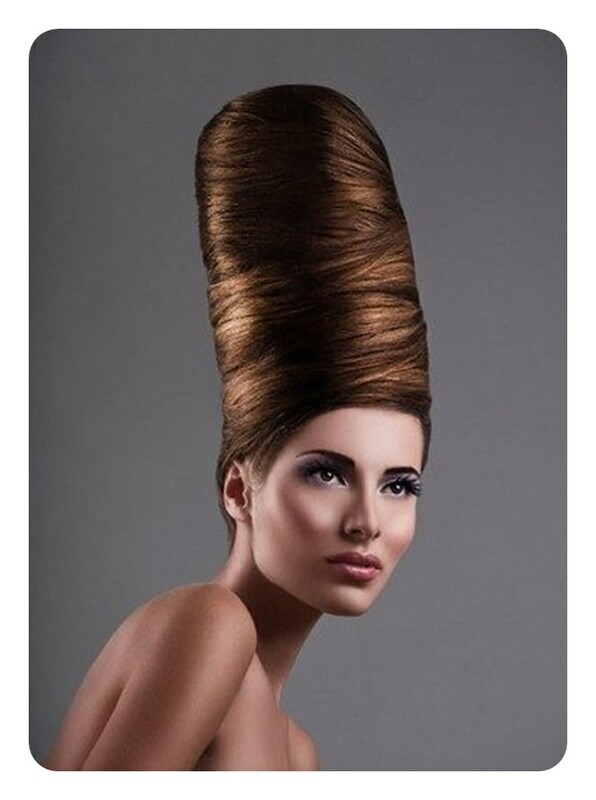 For example, beehive hairstyles were often made to be as big and as high as possible. You can see a good example in the style above. Think you’re bold enough to pull it off? Unlike the previous one, this smaller, less crazy beehive may gain more traction among vintage fashion fans today. It’s definitely more wearable given the proper occasion and dress. Take it a little lower and you can easily rock it to a formal event as well. Full bangs were also in style during the 60s. An iconic example is Brigitte Bardot’s long, parted bangs. 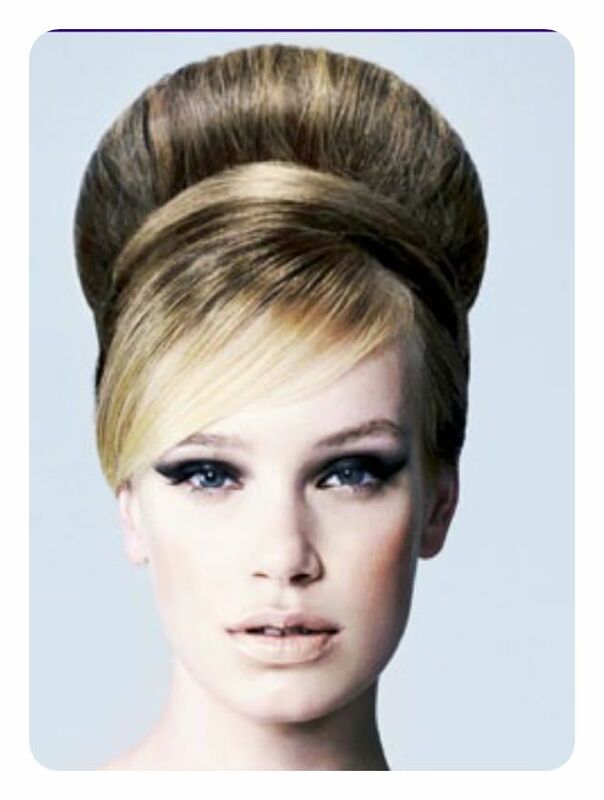 The look above is an excellent modern take on Bardot’s chic hairstyle mixed with a looser beehive. Replacing the long bangs with a full fringe of short bangs recalls the current trend of blunt and thick bangs on women. Not a fan of short bangs? Stick with long side bangs instead. They do a great job of framing and slightly slimming the face. To achieve the look, make sure to separate your bangs before teasing and backcombing the rest of your hair into a beehive. Skip the final round combing to get a similar messy look. 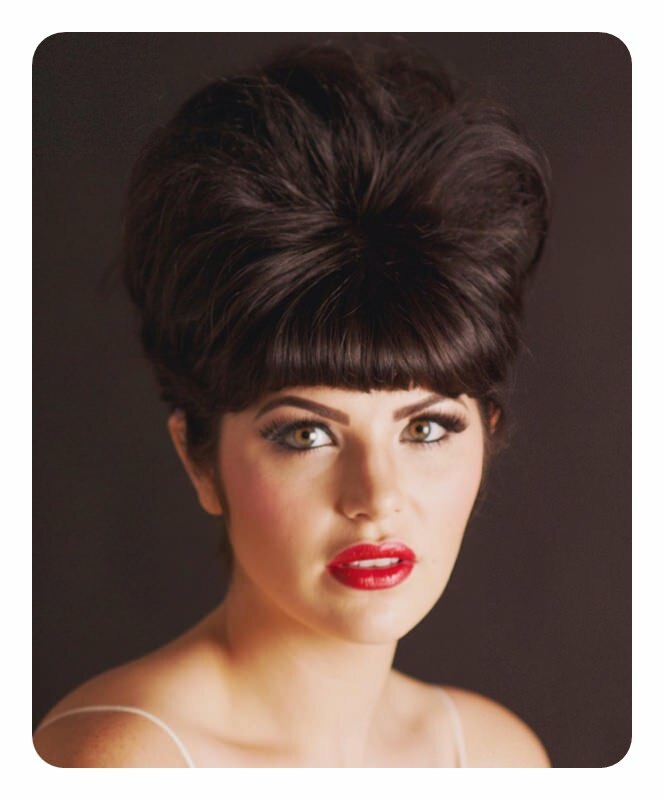 Side-parted bangs with a subtle beehive is a softer take to the 60s hair mash up. Pro tip: Take it easy on the hairspray to maintain an understated look. Take cues from this simple yet beautiful look from one of Bella Heathcote’s red carpet looks. 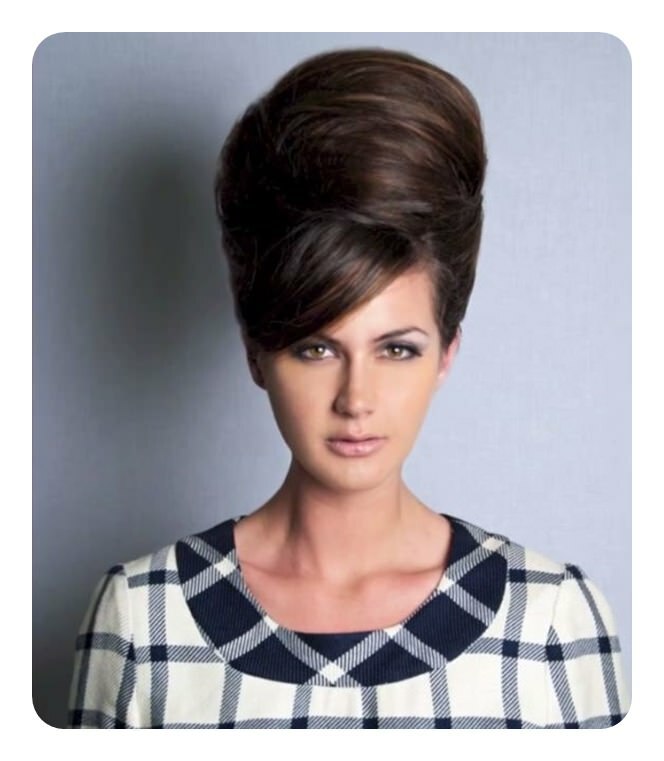 This beehive look is on another level of over the top so, you might want to reserve wearing it to occasions like Halloween or theme parties. 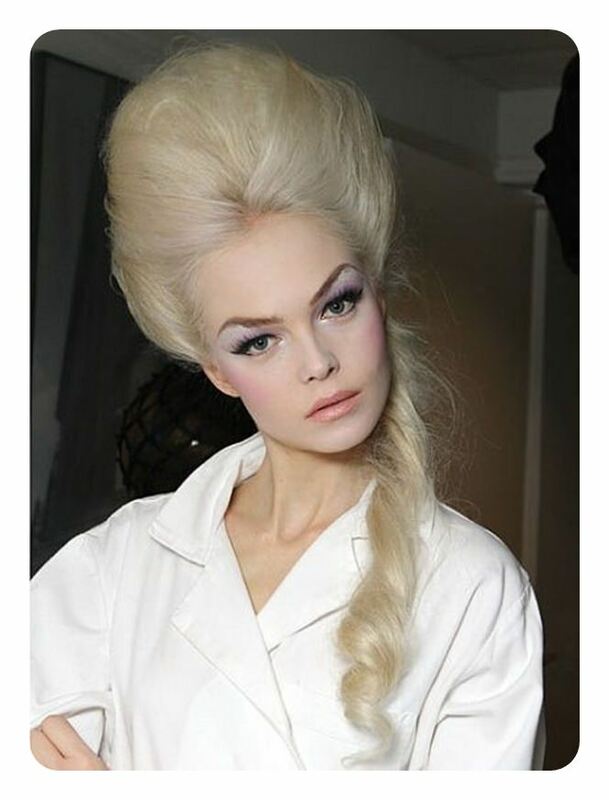 We bet this look will be a hit in a 60s-future or a kitsch theme party. 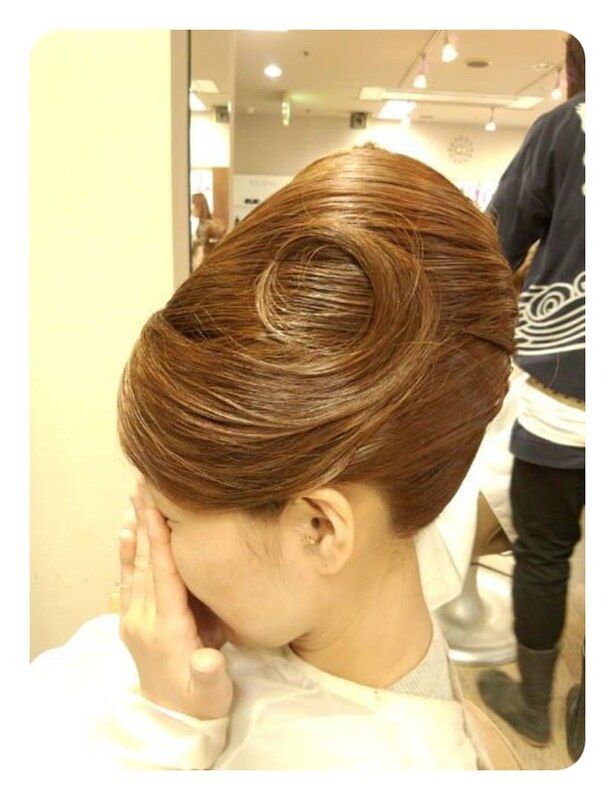 Doesn’t this hairstyle make her look like a character straight out of The Jetsons? 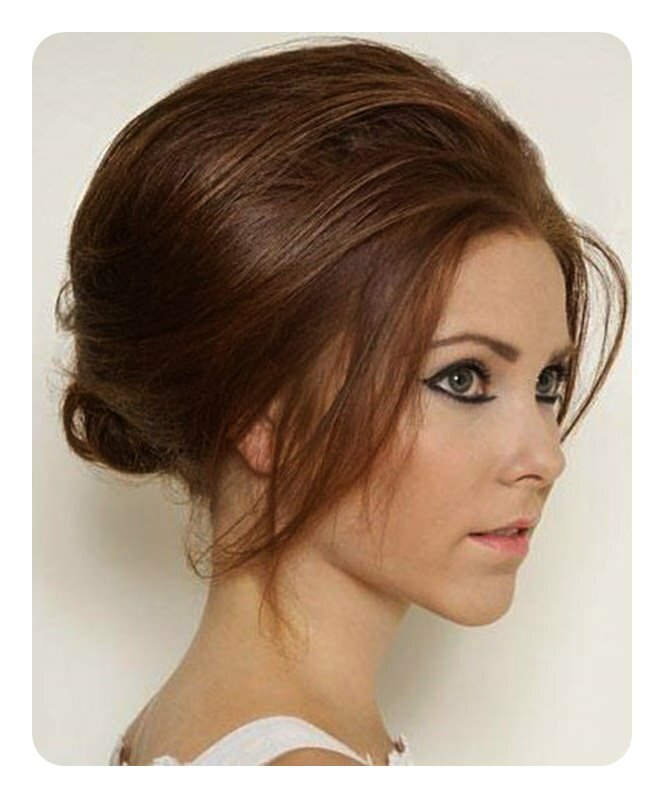 Make a statement at your prom with this side-swept beehive with a defined side bang. This would look totally great when worn with classic silhouettes to channel that Old Hollywood glamour look. Plus points if your hair is of a similar gray color. Though this style would also work well with light blonde hair. This might be another look best reserved for special occasions. 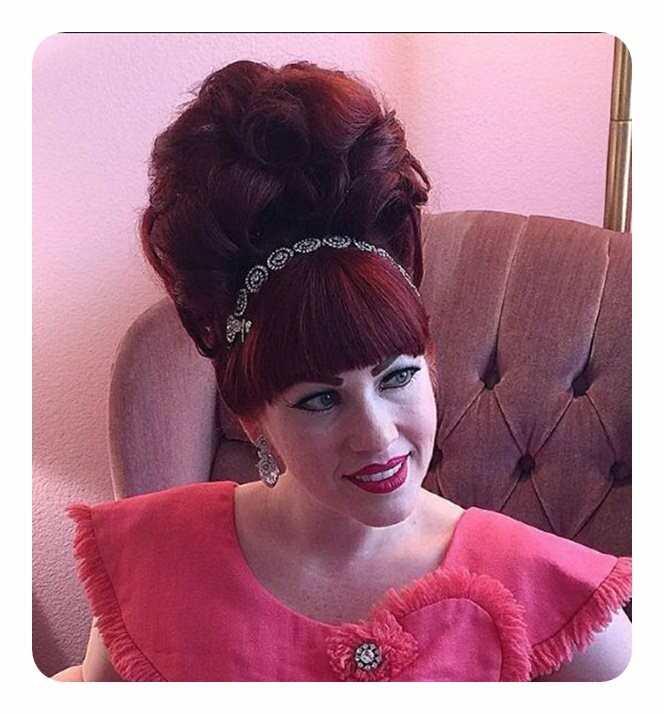 Say you want to dress up in a full authentic 60s outfit for Halloween or a convention, this big and poofy beehive will definitely be a great choice. Just a warning though, a hive this big would require long and thick hair to pull off. 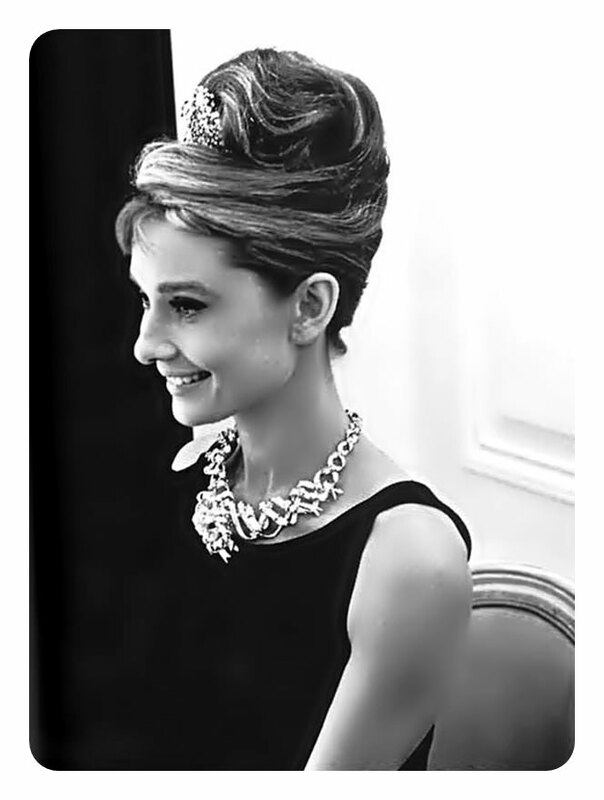 Even style icon Audrey Hepburn sported a beehive, most notably in her classic film Breakfast at Tiffany’s, so you know the style was indeed everywhere. 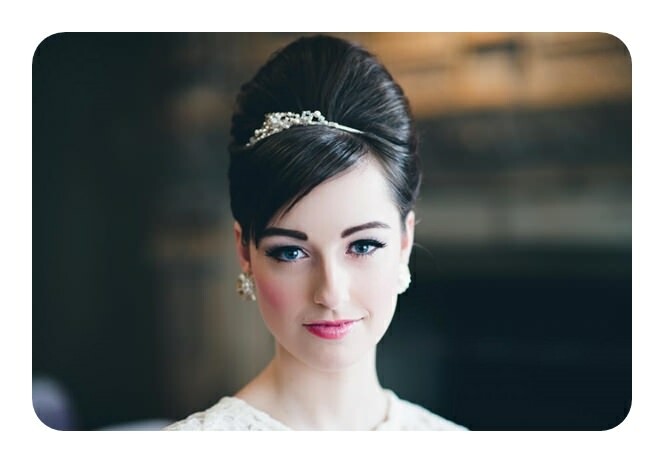 If you’re a fan of her style or her films, wearing a Hepburn-inspired beehive (complete with baby bangs) for your wedding is a fantastic idea. The beehive’s extremely structured look may not be everyone’s taste. If you want a more laid-back look while still keeping the vintage vibe, you want to try out something like Jessica Alba’s wavy beehive updo. You’d still have to follow the same steps for it except you’d have to skip the smoothening combover to keep the waves on top. Brides planning for a classic wedding would find this structured and waved beehive the perfect hairstyle to wear on their big day. With hair this beautiful, you can rest assured that you’ll be the star of your own wedding. Save this article and show this style to your stylist ASAP. Weddings are meant to be fun. And with the amount of money you’re spending on it, you better make the best of your day and enjoy it. 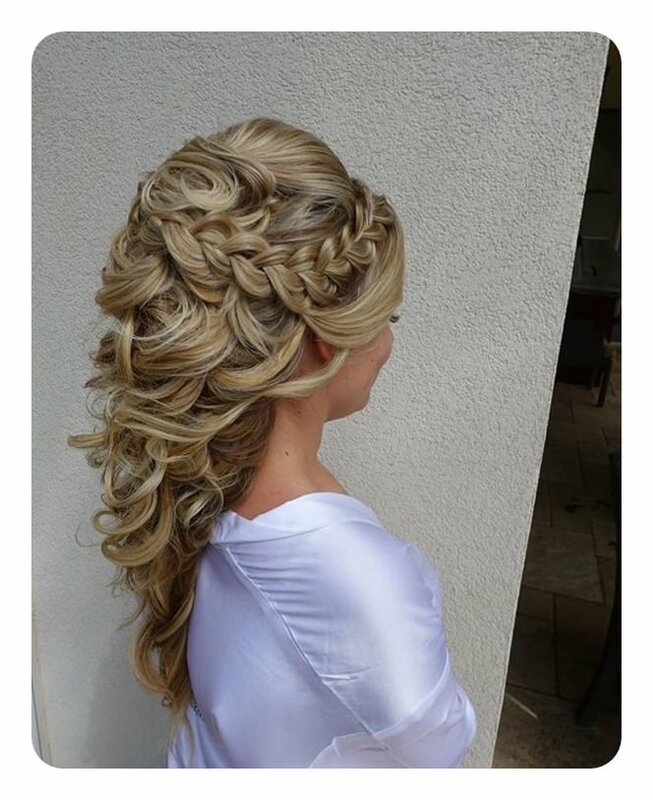 If this sounds like your ideal wedding, opt for a semi-messy hairstyle like this for your special day. Go for a full-on vintage look for your entourage by having your bridesmaids match your hair with this multi-part beehive style with buns. A uniform look will make your wedding more cohesive and aesthetically pleasing. Just be sure to allot enough time for hair and makeup to accommodate these hairstyles. Go for a simple yet elegant look like this one if you already have an ornate or attention-grabbing wedding dress to balance it out. Complete the vintage look with a dark cat eye and subtle lips. Just because you’re wearing a vintage hairstyle doesn’t mean that it has to look dated. 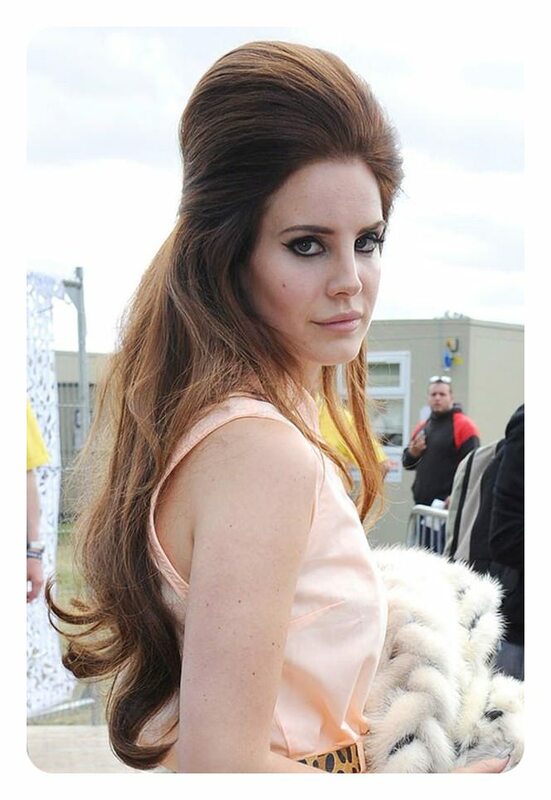 Bring the 60s style to the 21st century by going easy on your beehive’s height and hairspray usage. This would particularly look good on layered medium length hair. 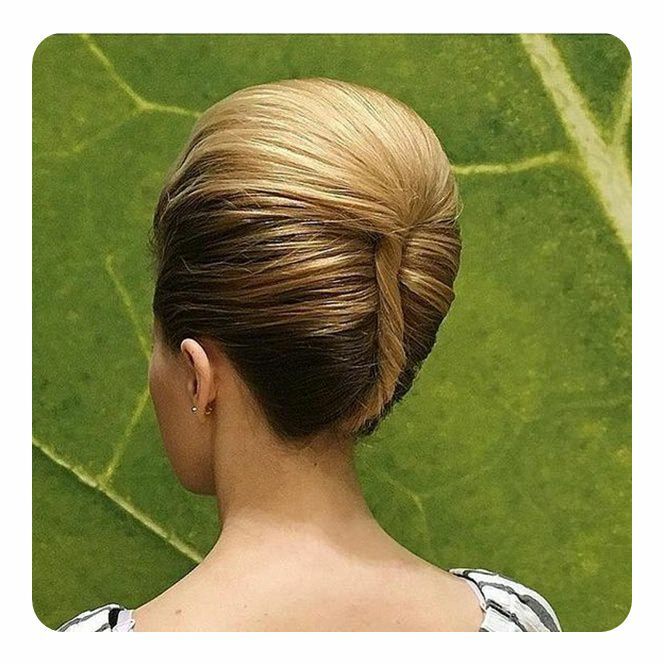 Full beehive updos tend to look more formal than their half-up counterparts. Don’t age yourself and opt for a half-up style for nights out or dates. 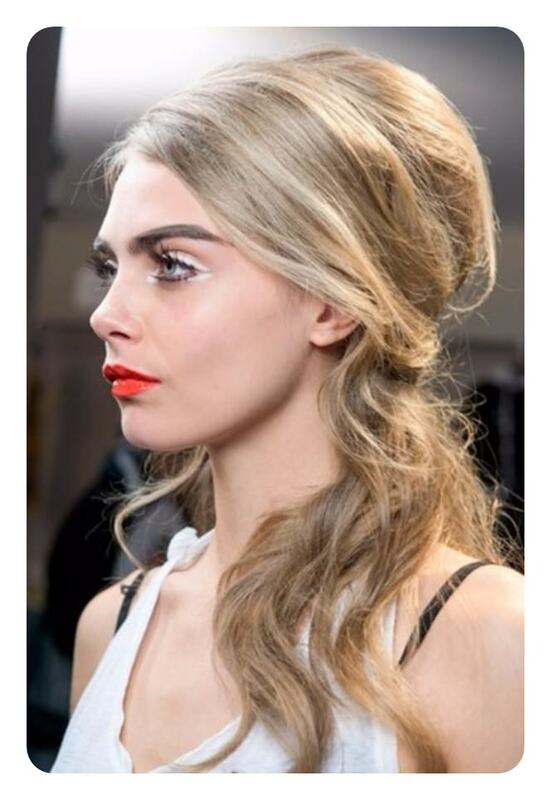 Don’t you just love this Greek-inspired low half-up hive on Cara Delevingne? The loose curls and unkempt top part really gives it a casual yet chic vibe. This is a great hairstyle to wear to weddings or garden parties. What more, you can definitely whip this one up on your own in just 10 minutes or so. 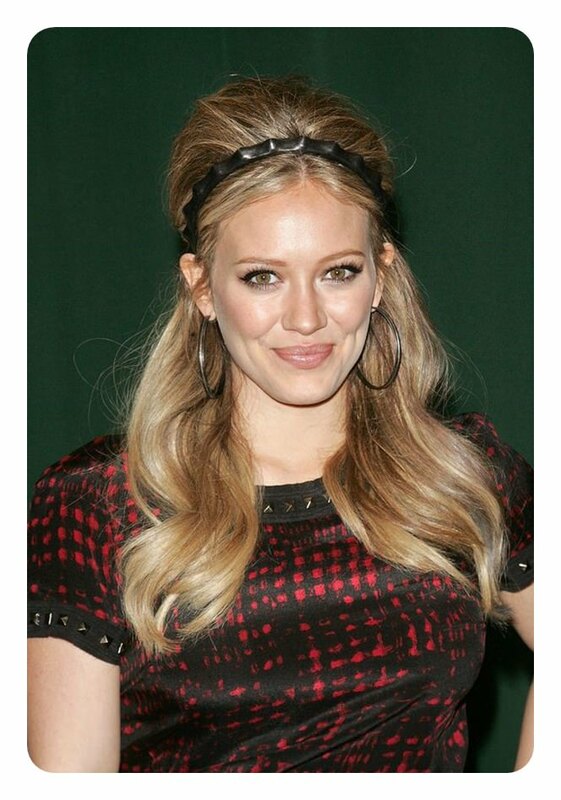 The hive had a resurgence in popularity during the mid to late 2000s as evident from this stylish red carpet look Hilary Duff is wearing. Don’t be afraid to copy the look and wear it today. Feel free to wear a thicker headband for a more authentic take on the 60s hairstyle. Short girls, we have good news for you. 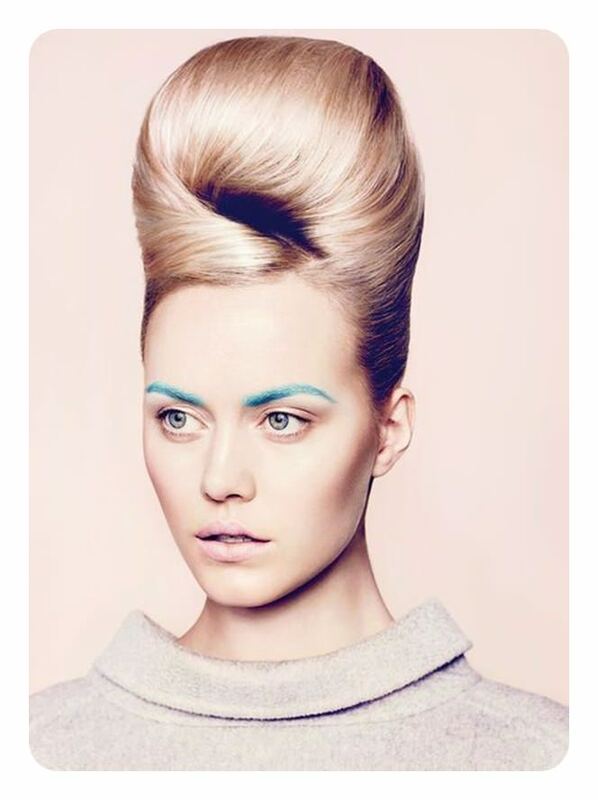 Create the illusion of height by copying this attention-grabbing hybrid of a fauxhawk and a beehive. Wear your favorite heels and strut get ready to into your favorite club feeling like a supermodel. 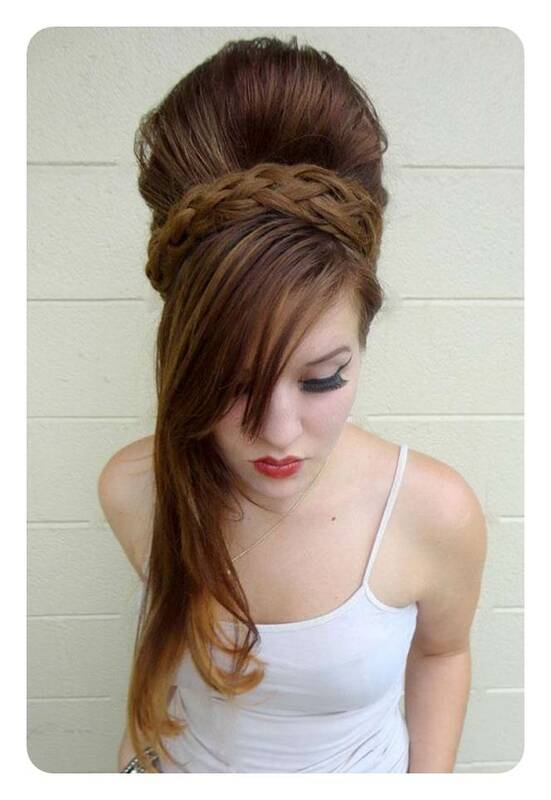 Whether you’re a fan of Lana del Rey or not, you can’t deny how cute this Barbarella-inspired beehive she’s wearing. Wanna steal her look? Well, we got you covered. Check out this beehive hairstyle Youtube tutorial from Beige Ojai and you’ll look like a character from one of Lana’s songs in 6 minutes. Of course, no discussion of modern beehive hairstyles would ever be complete without mention of the late Amy Winehouse. 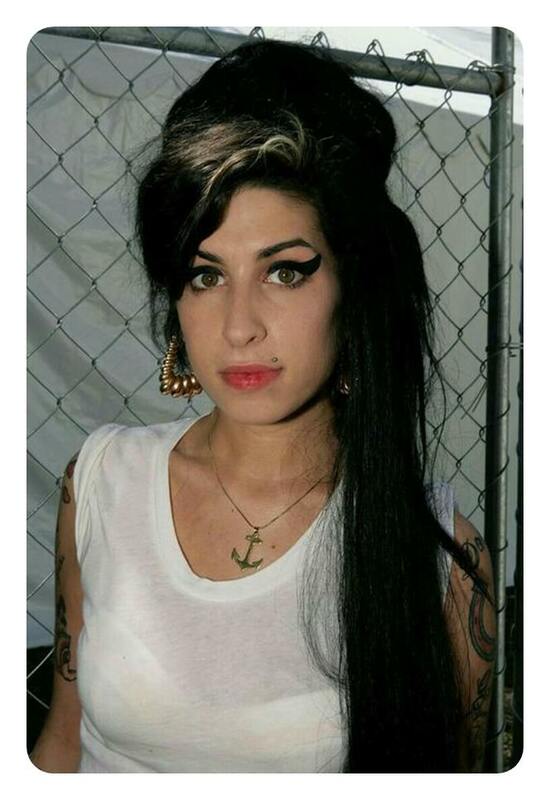 Aside from her unique voice and signature winged eyeliner look, Amy is also remembered for constantly rocking a half-up beehive hairstyle. She wore her hive many different ways but this casual day look is our favorite. Take the 60’s-future look to a whole new level by dyeing your hair an unusual or bright color. We’re particularly biased towards the likes of the light teal blue-green above. 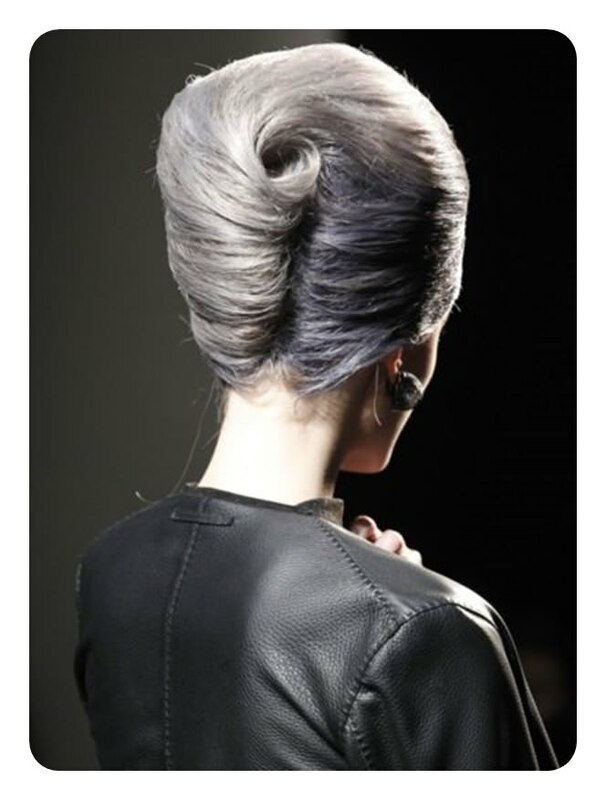 Styling it into a fauxhawk beehive will give you a more creative look. Or you can go the ‘bigger is better’ route and style your hive as high as you can similar to the one above. The powder blue hair color makes the style look a bit less crazy and wearable depending on the occasion. If the 1960s is fair game, then the 1760s should be too, don’t you think? 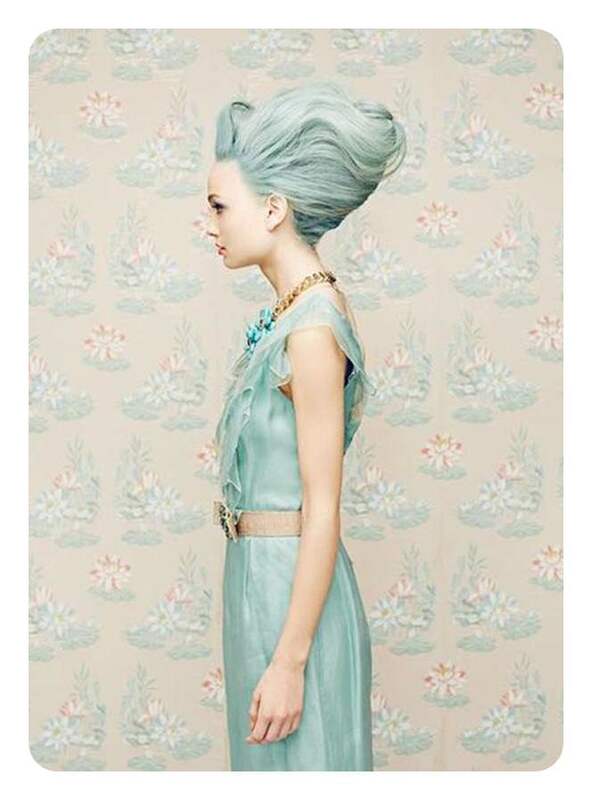 Channel your inner Marie Antoinette with this beehive fusion. Give the classic full 60s fringe a modern twist by opting for an asymmetrical fringe. Pair it with a pale gray color and you’ve got a unique retro-future look. Here’s another futuristic retro take on the classic beehive and it comes from none other than the queen of statement fashion herself, Lady Gaga. It’s definitely a comical (or should we say conical?) interpretation of the classic ‘do. But hey, if it works, right? We gotta admit. 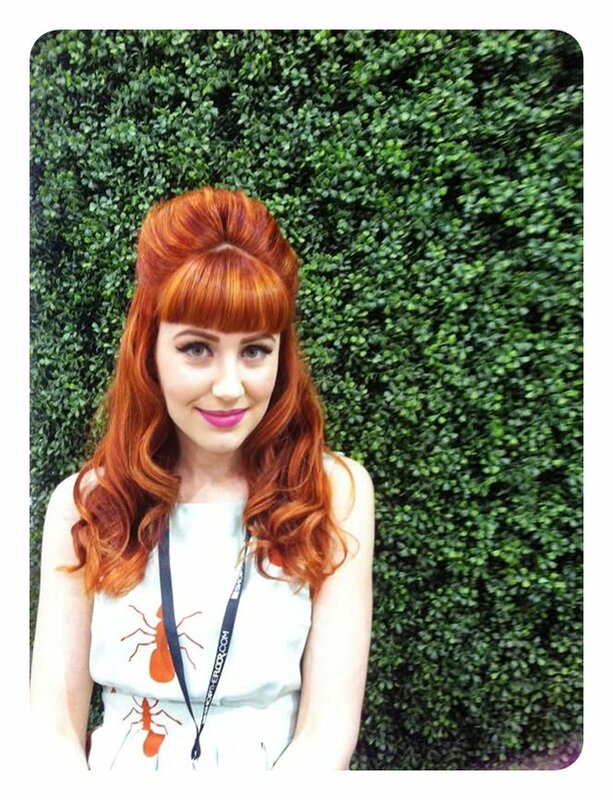 This is one of our favorite beehive looks on this list. The hair color, the coiffed styling, even the makeup? Utter perfection. We’re definitely a fan of hyperfeminine looks that mix modern and vintage elements and this one of the best we’ve seen so far. Who says beehives need to be smooth? Since crimped hair is gaining traction in the fashion community again, we think it’s a great idea to incorporate it into the beehive hairstyle. Beehive hairstyles look fancy on their own but a few touches of well-placed accessories is a welcome addition. Put the accessories you inherited from your grandma to good use instead of letting them gather dust on your dresser. A bedazzled and sizeable hair clip is a great starting point. Don’t limit yourself to regular hair clips and barrettes. Step outside the box sometimes and get creative with your hair accessories. You can go for a natural look by incorporating wooden clips like the one above. Besides, most of these wooden accessories are made by small artisans from scraps so you’ll be doing the environment good, too. 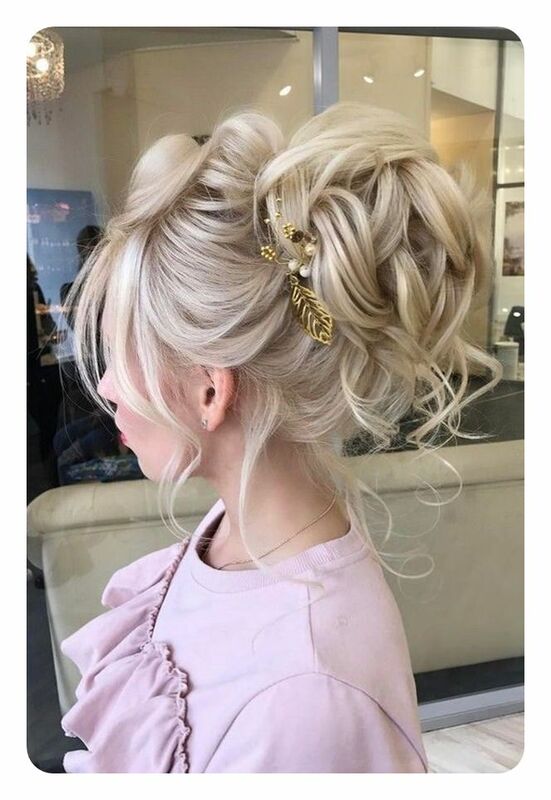 Speaking of hair barrettes, they’re the perfect addition to coiffed beehive hairstyles as they play both a decorative and practical role in holding up your hair in place. Give those 60s housewives a run for their money by stealing their look. 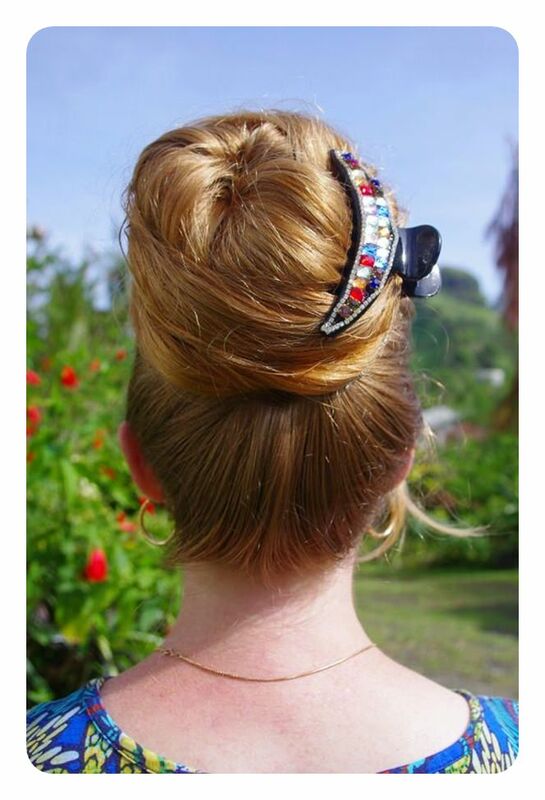 Get a hair bejeweled hair clamp and use it to keep your beehive bun. 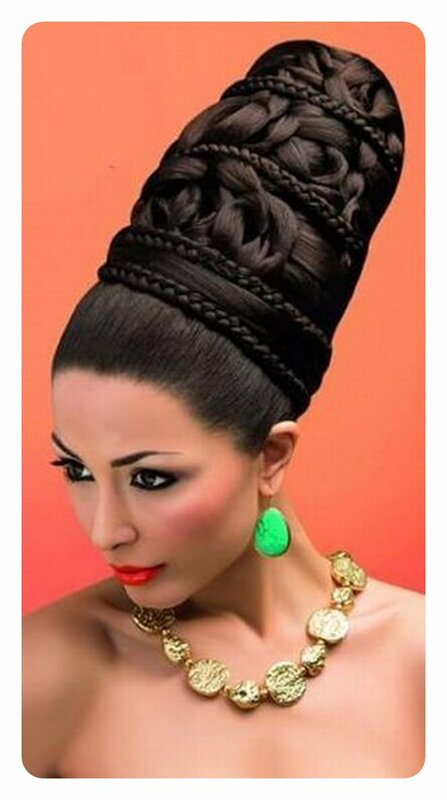 You can also style your hair into a braided headband to give your beehive a little more oomph. It looks particularly good with half-up hairstyles but would also work with updos as long you carefully pin the ends of the braids behind. Short-haired girls are often discouraged from trying out the hive because they don’t think their hair length can accommodate it. This is where coif-style beehives come in handy as it requires less hair to pull off. Medium-length and short hair are usually just the right length for simple coiffed beehives. 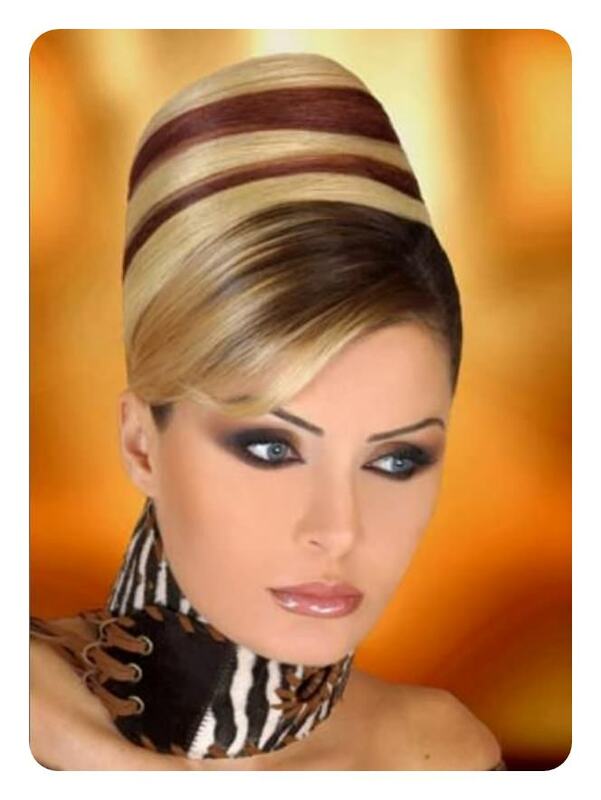 What more, this version of the vintage hairstyle tends to be much more wearable than the classic, cone-shaped one. Thus, it’s been a popular choice among brides and even teens looking for a simple prom hairstyle. 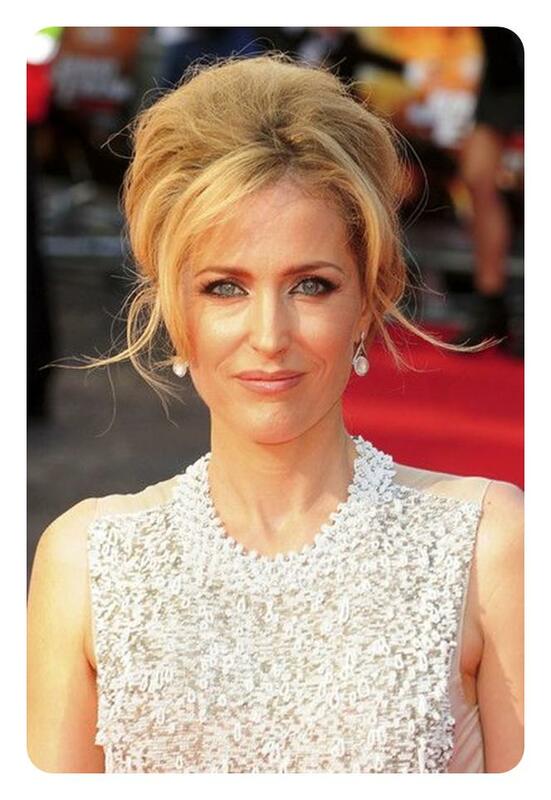 It’s also a great choice for older women who want an elegant yet easy to do everyday hairstyle. 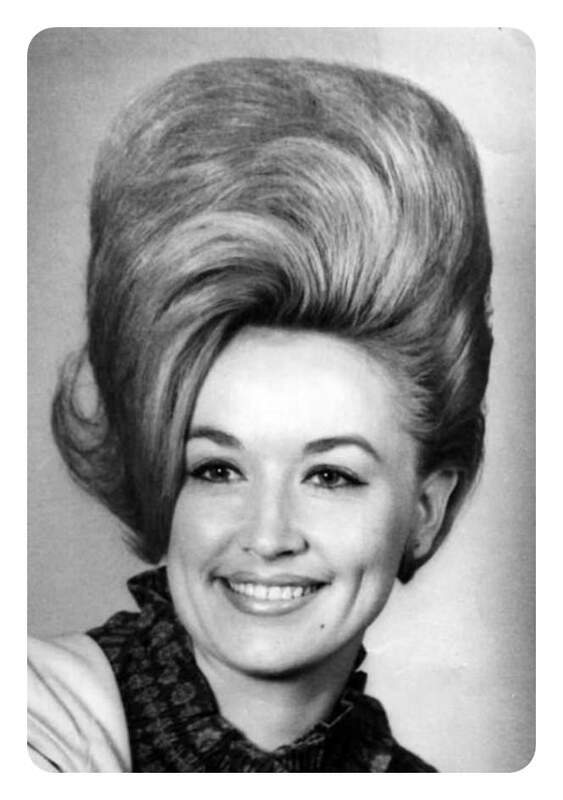 Certainly, coiffed beehive hairstyles don’t look too out of place when worn today. Besides, the style looks absolutely amazing with gray hair. 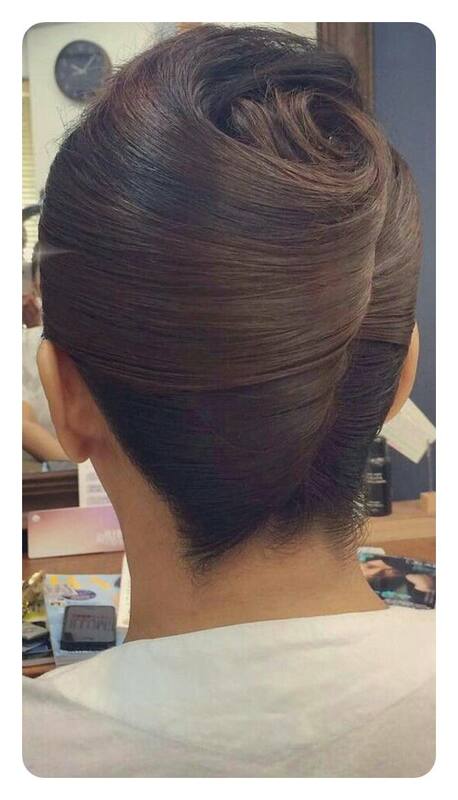 Look absolutely fabulous on your prom night with this beehive and coiffeur hybrid hairstyle. With hair this glamorous, you can still stand out without having to buy a fancy dress. Its height alone will make you the belle of the ball. Besides, you can definitely pull off this hairstyle even if you have short hair or shoulder-length hair. Another thing we really like about this hairstyle is that you can easily dress it down. 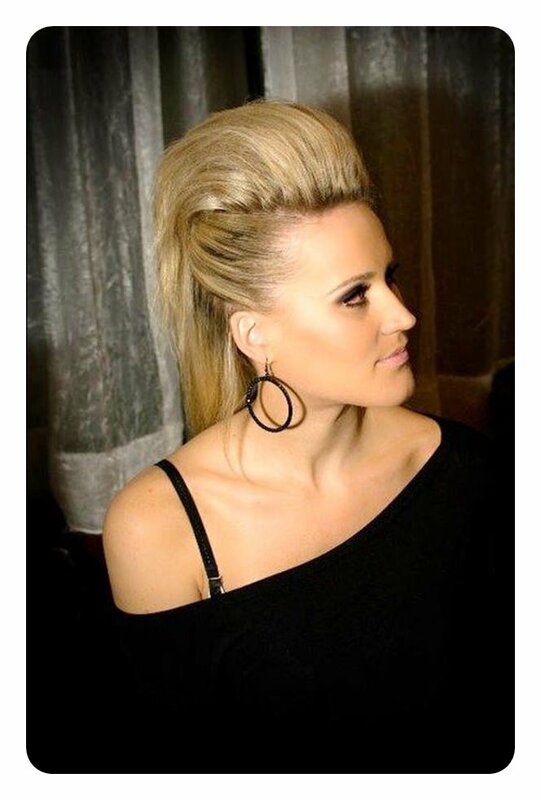 Going easy on the hairspray and lessening the volume will let you wear the hive to more events and occasions. Letting a few strands loose will also do the trick. Now, you can wear the hairstyle to more laid-back events like cocktail parties. 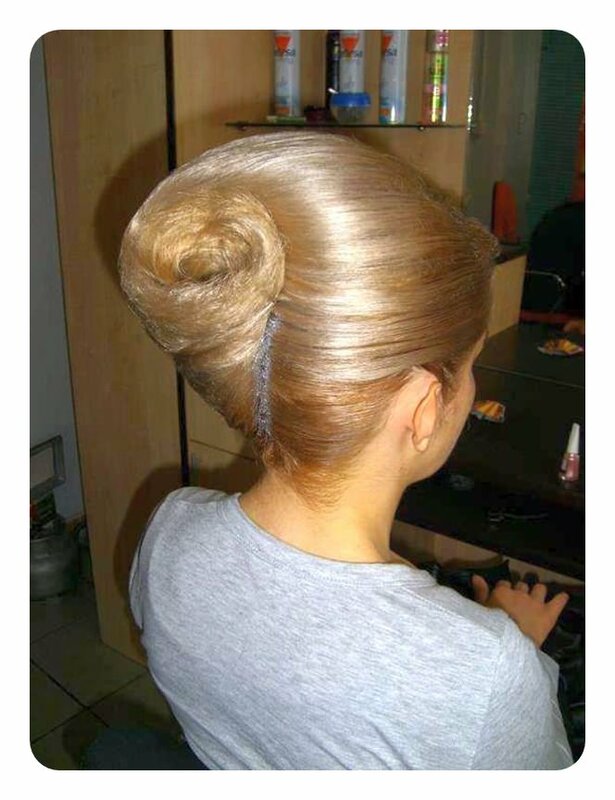 You can also tie your beehive into a bun to give it a more interesting shape. This would also take less work than going for the classic cone shape, so you can do this one on your own. Pro tip: It’s best to wear this hairstyle on hair that hasn’t been washed for one or two days. This way, your hair will hold onto shape more effectively. 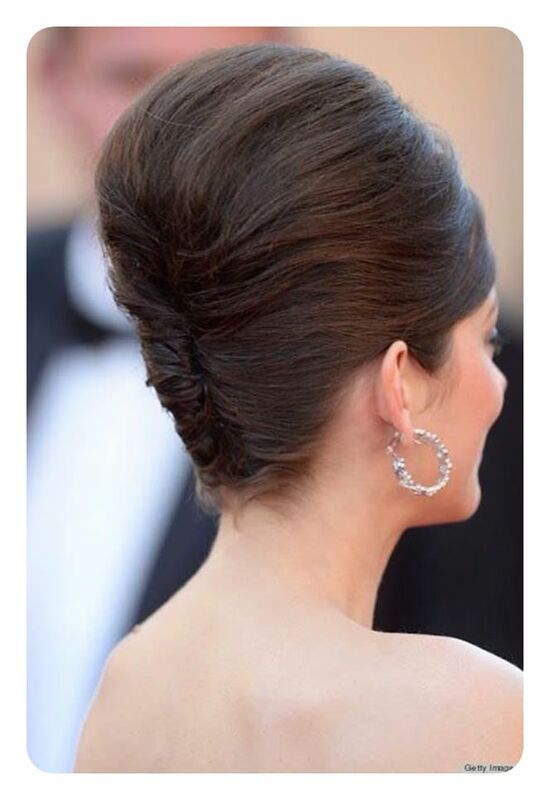 Draw more attention to your face than your hair and opt for a small beehive hairstyle. Sizing it similar to a regular bun is a good starting place. Keep the rest of your hair on the tousled side and you’ve got yourself a retro chic look. The bedhead look is definitely still on trend. 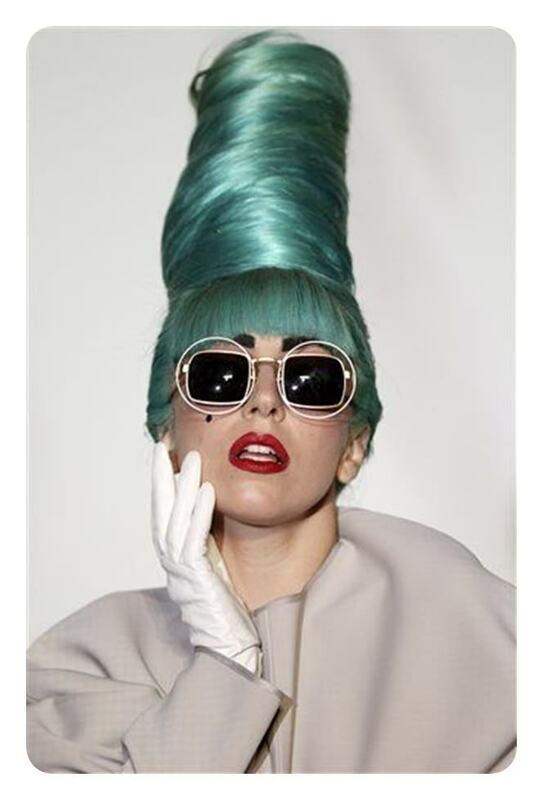 Incorporate elements of it into your beehive and go for a looser and messier cone. 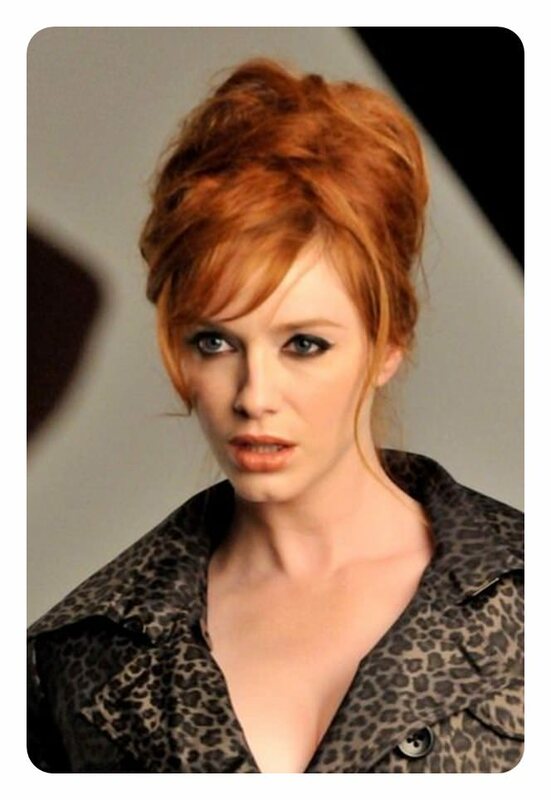 Take cues from former Mad Men star Christina Hendricks. Starring in a 60s era television show for years has definitely rubbed off on her personal style and this femme fatale look is proof of it. This is how you properly dress down a beehive for day wear. It’s just the right size and height and those loose side bangs perfectly frame actress Candace Cameron Bure’s face, don’t you think? You can definitely rock this style at the office or Sunday brunch with your girlfriends. 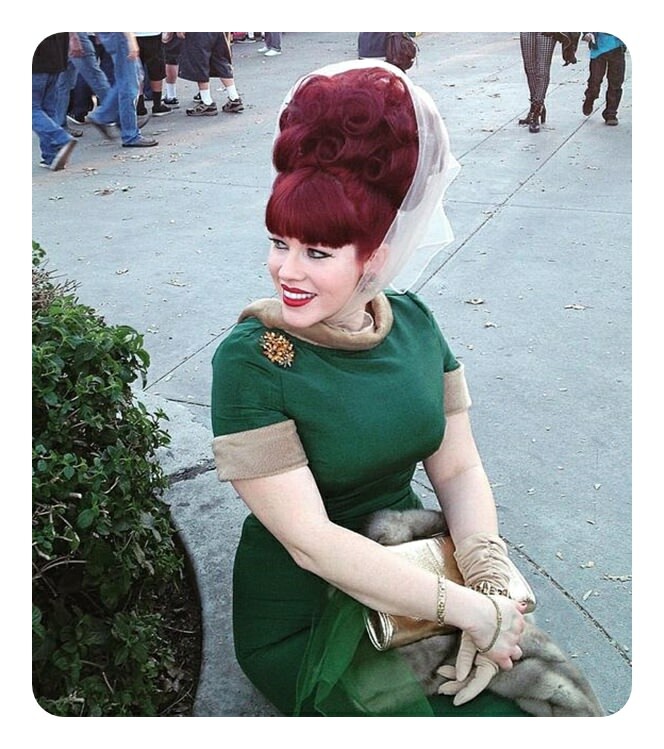 Redheads really do know how to rock a modern beehive hairstyle, huh? We just can’t get over how elegant and sophisticated this hairstyle makes Jessica Chastain look. It’s difficult to get info on this particular look but we’re guessing her stylist used a high ponytail as a base for the ‘poofage’ of the rounded hive. What do you think of the styles on our list? 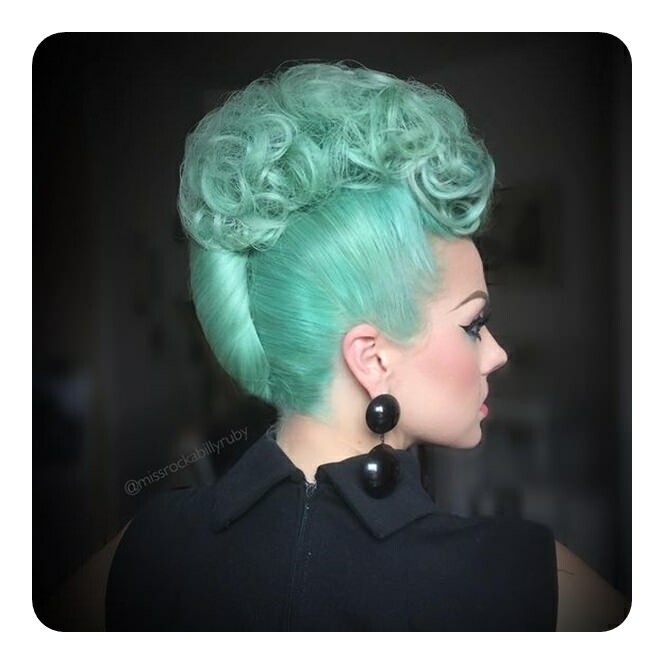 Which ones of these amazing vintage hairstyles do you think you can pull off? Don’t be afraid to try out your favorite ones. 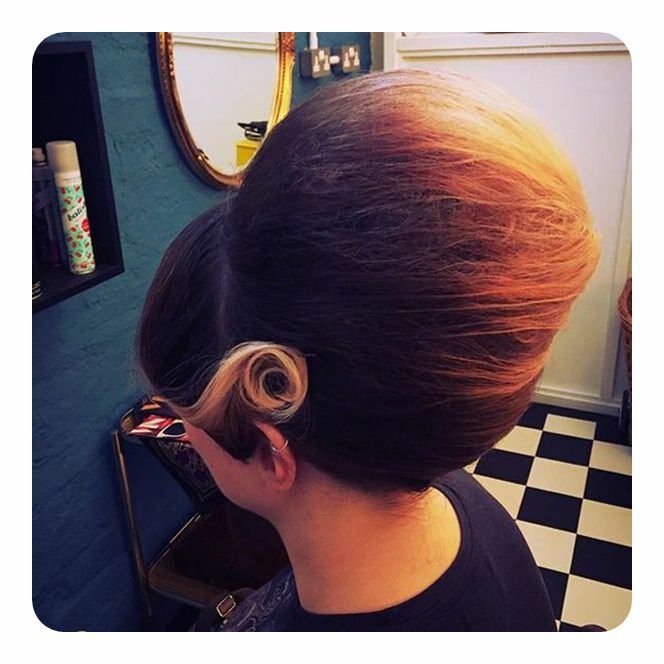 Want to take a look at more beehive hairstyles? Continue scrolling down to check out the rest of our gallery below.